That's a great question. To satisfy U.S. Food and Drug Administration (FDA) regulatory requirements, many firms—including those in the pharmaceutical and medical device industries—must validate their data analysis software. 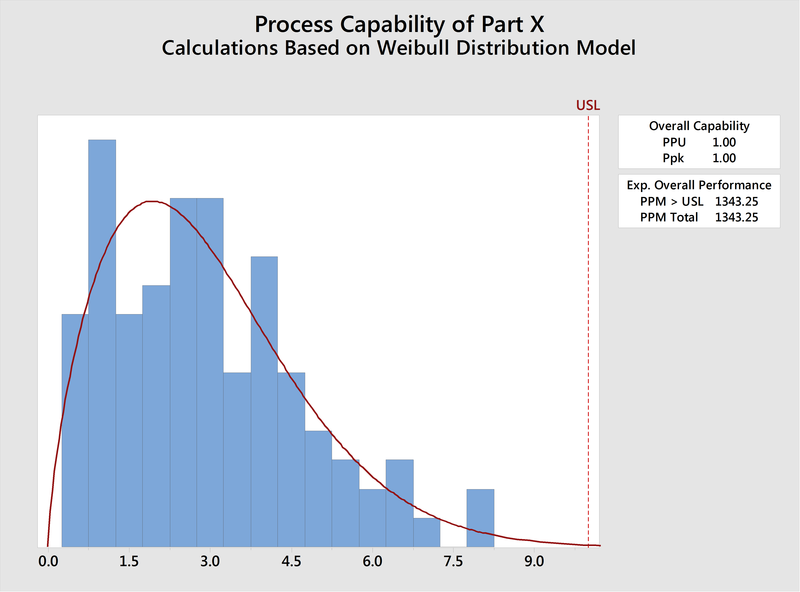 That can be a big hassle, so to make this process easier, Minitab offers a Validation Kit. We conduct extremely rigorous and extensive internal testing of Minitab Statistical Software to assure the numerical accuracy and reliability of all statistical output. Details on our software testing procedures can be found in the validation kit. The kit also includes an automated macro script to generate various statistical and graphical analyses on your machine. You can then compare your results to the provided output file that we have validated internally to ensure that the results on your machine match the validated results. FDA provides additional guidance for medical device makers in Section 6.3 of “Validation of Automated Process Equipment and Quality System Software” in the Principles of Software Validation; Final Guidance for Industry and FDA Staff, January 11, 2002. A test case description. For example, Validate capability analysis for Non-Normal Data. Steps for execution. For example, go to Stat > Quality Tools > Capability Analysis > Nonnormal and enter the column to be evaluated and select the appropriate distribution. Test results (with screen shots). 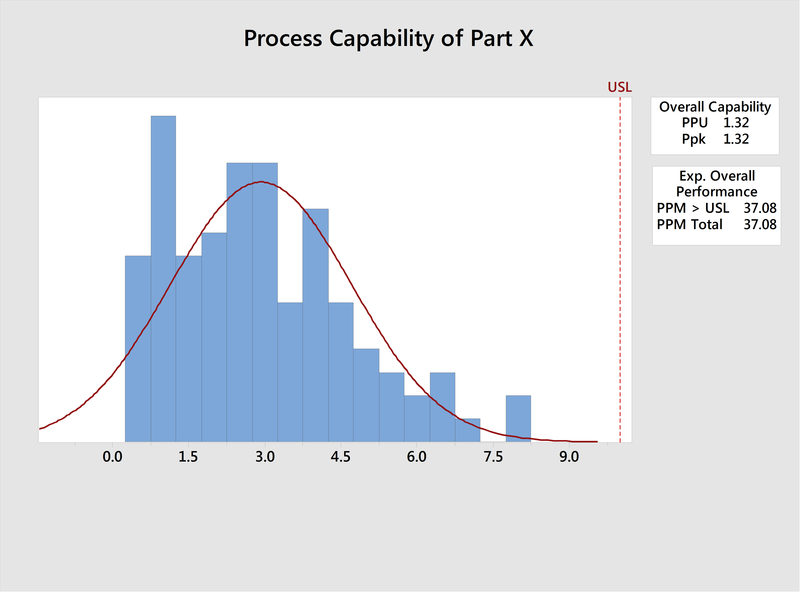 Company XYZ is using Minitab to estimate the probability of a defective part in a manufacturing process. 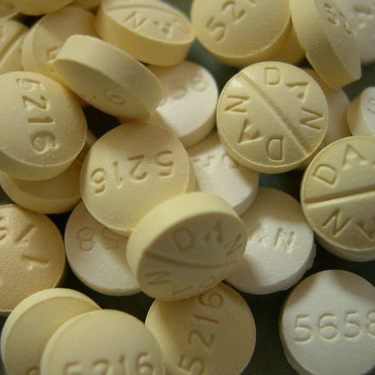 If the size of Part X exceeds 10, the product is considered defective. They use Minitab to perform a capability analysis by selecting Stat > Quality Tools > Capability Analysis > Normal. In the following graph, the Ppk (1.32) and PPM (37 defects per million) are satisfactory. However, these good numbers would mislead the manufacturer into believing this is a good process. Minitab's calculations are correct, but this data is non-normal, so normal capability analysis was the wrong procedure to use. Thoroughly identifying, documenting, and validating all intended uses of the software helps protect both businesses that make FDA-regulated products and the people who ultimately use them. In addition to details regarding our testing procedures and a macro script for comparing your results to our validated results, the kit also includes software lifecycle information. If you have any questions about our software validation process, please contact us.